Blackberry is holding a 'Blackberry Keyone Holiday contest' in which it is giving away a Blackberry Keyone Black edition smartphone. The contest is open worldwide. 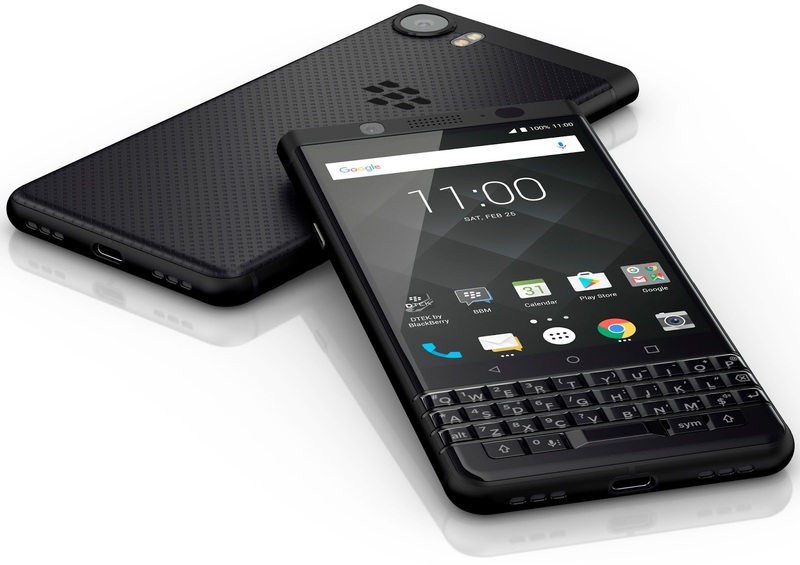 Here you can earn a chance to win Blackberry Keyone Black Edition smartphone for free. Just you have to take part in this contest to stand a chance to win the phone. 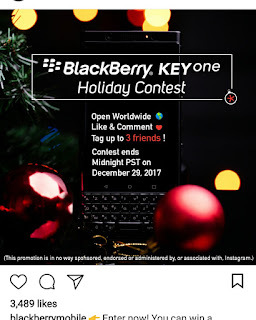 For taking part in the contest, you have to go to the blackberry's official page on Instagram that is @blackberrymobile. First thing you have to do is follow this page on instagram. Then you have look down for the following post. Open this post and you have to comment on this post about the thing you like about the phone. The next thing you have to do is to mention three of your friends in the comment. Now you are eligible for the contest. But you have to do all this before 29th December. The winner will be randomly selected and will be announced on 30th December.